Organizations sponsor our existing Footprint Calculator or adapt it for their purposes. The calculator allows organizations to build a community, recruit members, and stay engaged with users. Examples include: white labeling, adjusting the solutions section, and integrating other web products or campaigns. 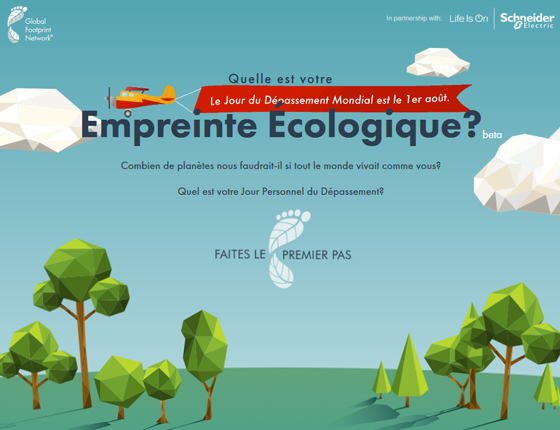 Who we’ve worked with: WWF and Earth Day Network are organizations that have adapted our calculator. Beyond the results available under a Creative Commons license on data.footprintnetwork.org, the National Footprint Accounts provide detailed insights into the resource flow of countries. Additional results can be licensed. 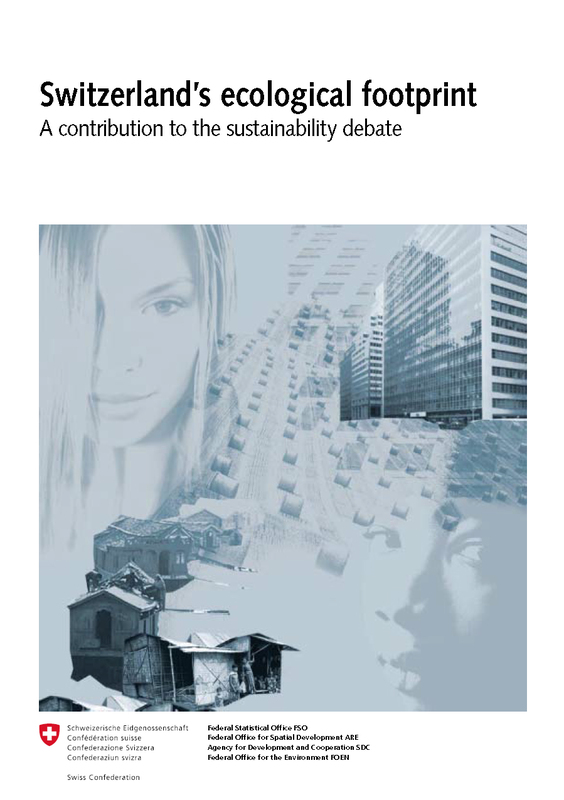 Environmentally-extended Multi-Regional Input Output assessments: we offer trade analyses, sector assessments, and “Consumption Land-Use Matrices” (CLUMs) based on three years 2004, 2007 and 2011. 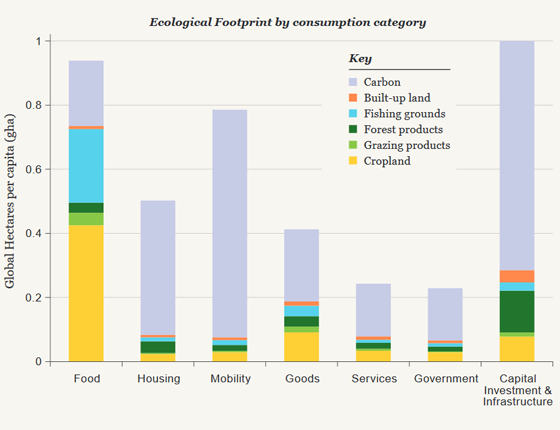 CLUMs show how much of the overall Footprint is attributed to various consumption categories. They are essential components for regional and city assessments. Nowcasted Data: Based on newer data, where available, and extrapolations, where not available, we nowcast national results to the present. Who we’ve worked with: Financial institutions (such as Pictet Bank), governments (such as the government of North Rhine-Westphalia, Germany) and policy organizations (such as the European Environment Agency) have used specialized data for their risk and sustainability assessments. Through the years, we have gained a lot of experience about what makes campaigns successful and what does not. We love to support clients in designing and executing campaigns that advance sustainability. 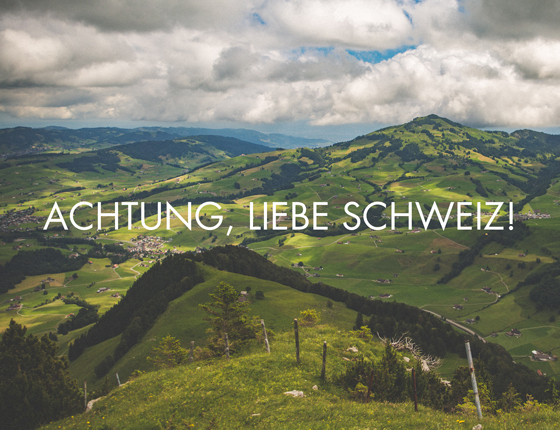 Examples include: Country Overshoot Days, Earth Overshoot Day partnerships, Country campaigns (Swiss referendum), French Overshoot Day, that reached over 20 million people, or a similar one in Germany. Who we’ve worked with: WWF France, GermanWatch, and corporate partners such as Schneider Electric, PharmaCielo, BC Hydro, and others. Rather than starting with indicators or data, we ask: “what do you need to know in order to operate your entity safely and effectively?” We help clients develop effective measurement approaches that strengthen their decision-making. Competitiveness Assessment ― study on competitiveness for the Swiss government, beyond their initial assessment. Who we’ve worked with: City of Calgary (Canada), Zero Association (Portugal), Federal government of Montenegro, Government of Slovenia, City of Nancy (France) and many others.